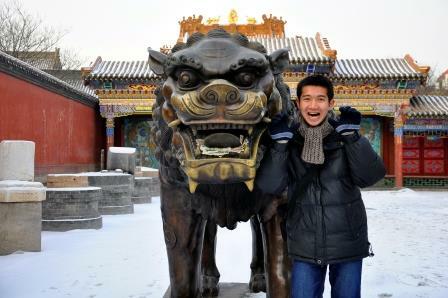 MENG Hao joined us as a graduate student in Fall 2014. During his undergraduate years at Peking University, he volunteered at the field research center in Chongzuo, Guangxi, and assisted in studies of the natural populations of white-headed langurs and Chinese white dolphins. With his dedication to becoming a wildlife biologist, he is now participating in an international collaboration project on Russian Far Eastern fauna, analysing the population genetic structure of spotted seals (Phoca largha) from Peter the Great Bay, Russia. The project is aimed at elucidating the link between population genetic structure and migratory versus resident patterns. Pan W, Gu T, Pan Y, Feng C, Long Y, Zhao Y, Meng H, Liang Z, Yao M. (2014). Birth intervention and non-maternal infant-handling during parturition in a nonhuman primate. Primates 55(4): 483-488.